Well Happy New Year (well almost)! I hope you've had a wonderful break, and if you're anything like me, you can't wait to get back on a regular schedule and me with your students! That's not to say I don't love sleeping in and binge watching Netflix...I do! But I also love my job! I spent a lot of my break creating fun and engaging resources to use with my kinder darlings! One thing that I am most excited about is my New Year's Day resource pack!! There are over 30 pages in this pack and TONS of activities. I want to show you a few of my most favorite activities! This might be my most favorite activity!! 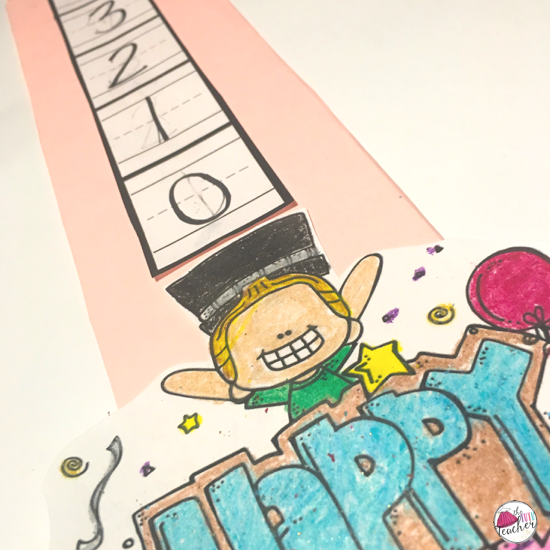 It's a party horn countdown craft! 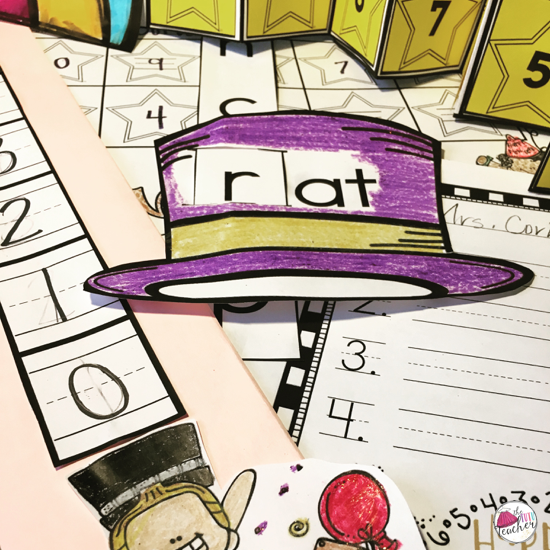 Your students will practice their counting skills and get in some very important fine motor practice as they create this craft! I LOVE to show my kids the video of the ball dropping in NYC. We practice counting down as we watch the ball drop. But this year, I'll have my kids create their very own ball drop as we watch! Your students will practice number writing and ordinality while they write the numbers 10-0. The new year is also the time when we get serious about our reading in Kinder. 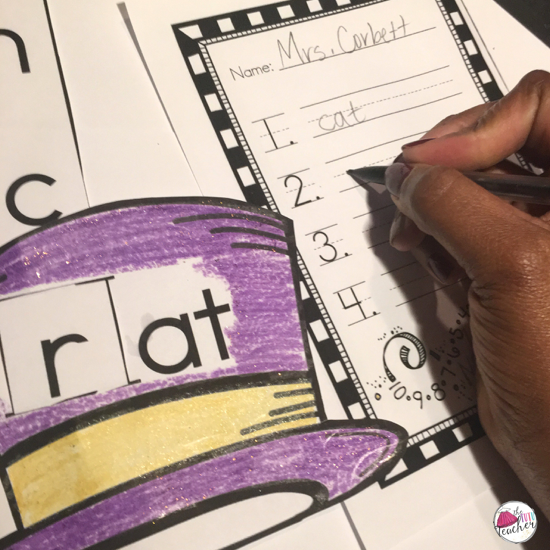 This top hat craftivity is a great opportunity for students to reinforce their word family practice! 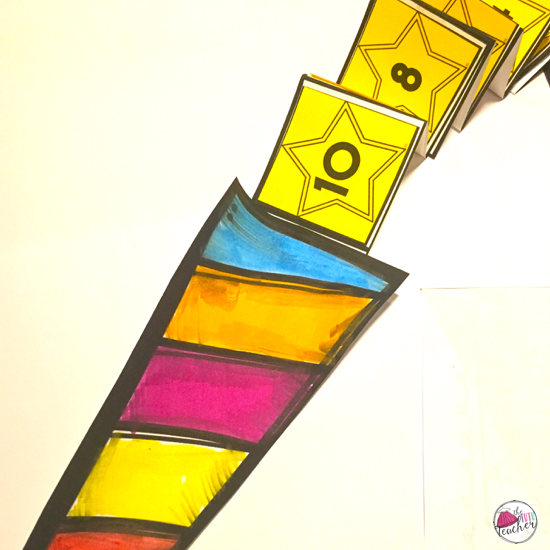 Another activity in the pack is a countdown sorting activity, perfect for a math center. 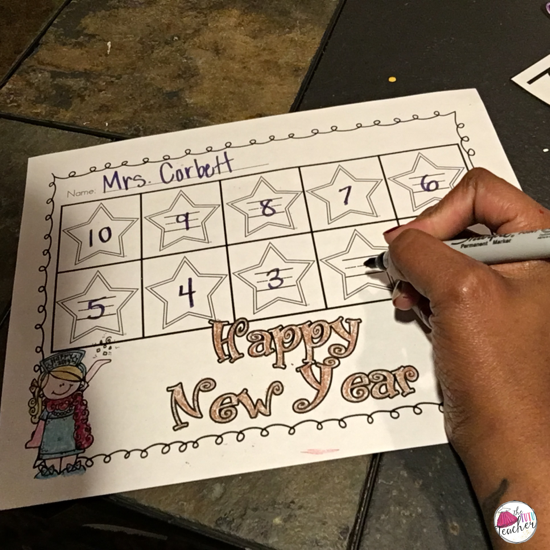 Your students will practice counting down with numbers 10-0 or numbers 100-0. There are multiple recording sheets included for you, so students can document their learning. 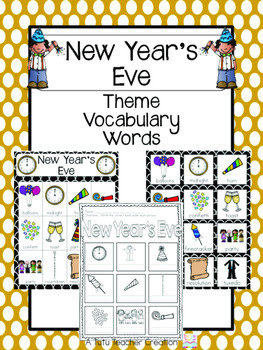 There are LOTS of goodies in this pack, (including a New Year's day reader) and your students will have a great time participating in these fun and engaging activities. You can grab them HERE in my TpT store! 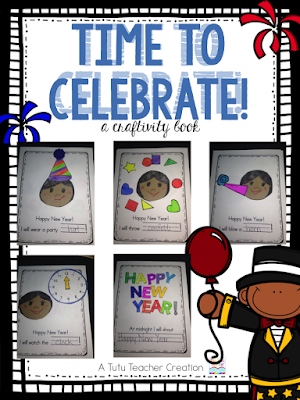 And just in case you need a few more activities to help you ring in the new year, check out these products. 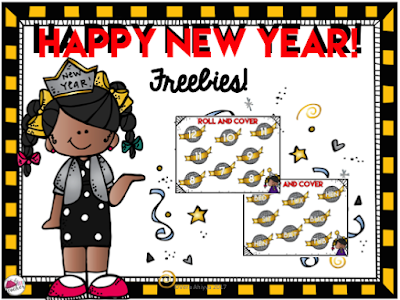 And please check out my set of New Year Freebies!